I was recently in Nashville at the ACFW conference and for the price of a vanilla latte at the hotel I could have bought my new book twice! 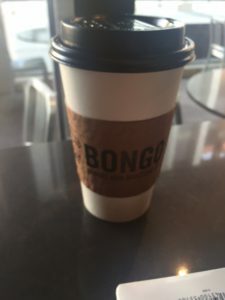 I wasn’t very happy about that, but the coffee was great, and I needed the caffeine infusion without having to venture into the hot and muggy atmosphere outside the hotel. Imagine this setting above with snow in the trees, on the roof and some on the ground and you will see a scene a A Christmas Homecoming. Here is a blurb about the story. Stephen Belafonte rushes home from France to be with his mother after her stroke and is surprised by the rift between his mom and Bailey, her assistant. When his mom demands he fire Bailey, he’s torn between respecting his mother’s wishes and doing what’s best for the family business. Can Stephen find a way to heal the rift in his family as well his own heart, or will he be forced to let Bailey go? 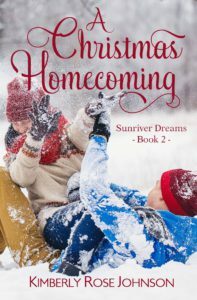 BAILEY CALDERWOOD PULLED THE KNIT HAT her mother had given her last Christmas lower on her head as freezing wind whipped her long hair, tossing it into her face. Wind whistled between the tall ponderosa pines that surrounded her employer’s house near Sunriver, Oregon. Why had she agreed to move to Mona Belafonte’s home? On a good day her employer was difficult to please, but now that she’d had a stroke, most of the time she was impossible. Not that Bailey blamed the woman for being difficult. She had to be frustrated and angry at her situation and slow recovery. Bailey needed to take care of her task quickly and get back to the house. Mona didn’t like to be alone. Thankfully the youngest of the Belafonte brothers was returning from France next week in time for the holidays. From what she’d been told, he worked with the design side of the business as well as the construction side, and she was hoping having him here would brighten Mona’s mood and speed her recovery. The task of freshening his cabin should go fast. But since it had been closed up for the past two-and-a-half-years, there’d probably be a good deal of dust to contend with. Crunching metal and shattering glass punctuated the early afternoon air. Bailey’s stomach clenched, and her pulse jumped. Oh no! The noise had come from the direction of the road. Snow nipped at her ankles as she jogged along the driveway that wove through the woods to the road. Loved the blurb and the excerpt, Kimberly! 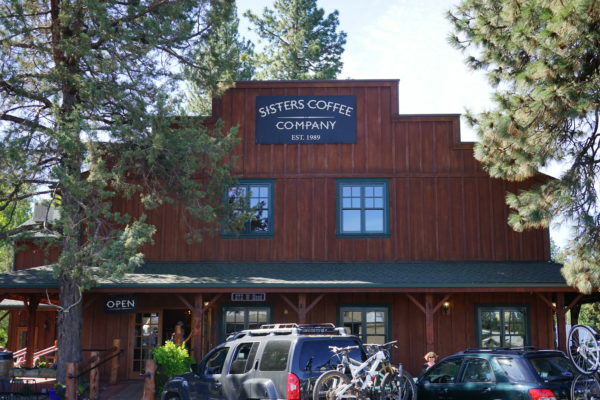 Sisters Coffee Company looks like a great place to visit. Congratulations on your upcoming release! Sounds like another great book to add to my list. Love seeing so many bikes (even if on cars!) outside the coffee shop. Looks lovely! Loved the blurb. And I also share your love for good coffee in a nice atmosphere, specially in the winter. We once spent the week after Christmas in Central Oregon and they got slammed with snow! It was insane. There were two snow slides on the pass when we were trying to get home. A three hour drive turned into an eight hour drive. We haven’t gone back since in the winter. Wow, that sounds horrible. I remember going through a huge snow storm with my husband and a 1-hour drive turned into 3, but it was a country road and we had been there many times before. Still, it was more anxiety than we needed. Sounds exciting! I enjoy nice coffee houses, but I order tea! I’ve never liked coffee. My youngest and I will get tea and coffee out occasionally. Keep up the fantastic work. One of these days we’ll have to meet for coffee. There are some really great ones around here. Thank you, Marylin! You won’t have to wait much longer. We do have some great coffee shops. There are two in Sunriver that I really like, but one is a drive through only, so it was only mentioned once in book three–that will release this coming spring. What part of OR are you in? Getting coffee would be fun. Kimberly, I’m in a little town called Gladstone. It’s near Portland. Are you close? Coffee would be fun. Nice blog post, about a very good book. I am waiting with anticipation for the release. Sounds wonderful. I definitely need to put it on my to-read list. Love my morning coffee and small coffee shops are fun. Congrats on your upcoming release! This sounds fun. Your new book sounds interesting. I have pre-ordered it. I always enjoy your books! Congrats on the new release and thanks for sharing.